Singing elves. Dancing snowmen. The awkward beauties of stop-motion animation. Yuletides threatened by mad professors, insane dictators, giant buzzards, and Arab stereotypes. Welcome to the world of Rankin/Bass, a company that took the pop-culture Christmas ball and ran with it, creating a demented body of video work that will live forever . . . for better or worse. We can sometimes measure our faithfulness to the sentiments of the season through our dedication to the ritual of watching holiday TV specials. But no one could crank out the Xmas kitsch quite like the minions of Arthur Rankin, Jr. and Jules Bass. 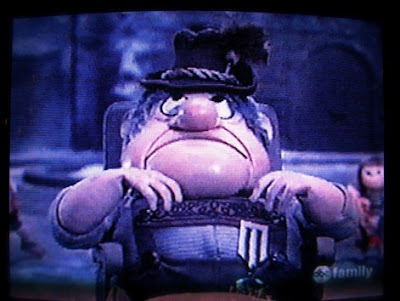 For more than two decades, their studio produced over a dozen animated Christmas specials, most of them filmed with puppets in painstaking stop-motion technique. Only Sid and Marty Krofft of “H.R. Pufnstuf” fame can claim a similar dominance over the injection of absolute weirdness into children’s minds. The real heroes were the Japanese animators, under Tadahito Mochinaga and later at Topcraft, who developed into a powerful generation of anime artists, directors and producers. The first and the best. I distinctly remember the first broadcast, and it blew me away. The attention to detail, the anything-goes leaps of logic, the weird mix of cultural references: it sets the pattern, both in form and tone, for all Rankin/Bass holiday specials to come. 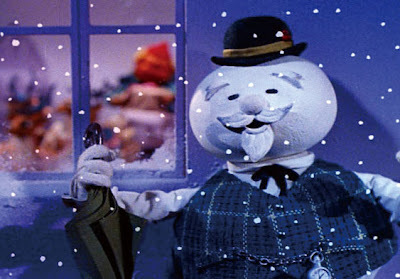 Celebrity narrator: Sam the Snowman (Burl Ives). So memorable, he made it into “Elf”! Villain: The Abominable Snowman, and the worst blizzard in a century. 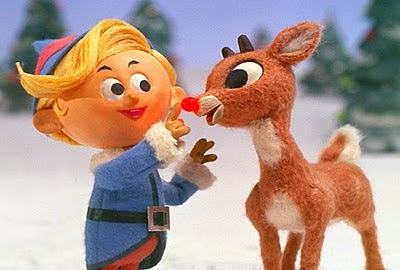 High points: a) Hermey the elf confesses his obsessive desire to become a dentist. B) Rudolph calling out, “Ready, Santa!” Gulp. Sob. Huh? 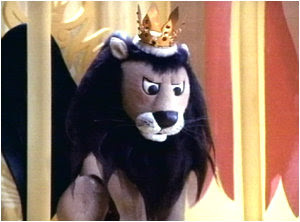 : Still wondering about strong yet sensitive Yukon Cornelius, and King Moonracer, the flying lion that rules over the Island of Misfit Toys. I’m still trying to work that last one out. Lesson: Diversity. We must love and accept all our differently-abled reindeer. Song You Can’t Get out of Your Head: The title song, silly! Villain: Professor Hinkle, memorably portrayed by the inimitable and now forgotten Billy De Wolfe, a professional sissy of the type played by Charles Nelson Reilly and Franklin Pangborn. High points: Frosty saves his friend Karen at the cost of his own conversion from a solid to a liquid state. Lesson: Don’t be a hater. 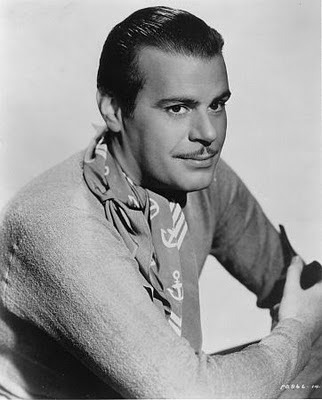 Villain: Burgomeister Meisterburger! Ooo, he hatez dose toyzzz! High points: Kris Kringle is a defiant elf-raised orphan who brings toys to children despite being ground down by The Man. He works under cover of darkness, an outlaw advocate of materialism, and winds up a political prisoner, Yuletide’s own Vaclav Havel. Plus, Jessica Claus is hot. Huh? : The insane lengths the story goes to in order to explain every aspect of the Santa mythos are beyond compare. Red suit, beard, flying reindeer, magic feed corn – the scrotal fortitude of the writers is impressive. Lesson: Nobody can mess with the inalienable right of children to have toys, especially with omnipotent omniscient Santa on their side. Dammit. Villain: Isn’t it Santa this time? He catches a cold, decides to take a break, and basically bails. Huh? : It’s kind of like “Measure for Measure” – a leader leaves, creating a power vacuum that’s filled with bad bargains. Elves are making deals with Southern mayors, element-controlling spirits, and the like. Lesson: Santa is too big to fail. And . . .it just starts to go steeply downhill from there. The Little Drummer Boy, Book II (1976) still has a rap that it contains anti-Arab stereotyping. Nestor, the Long-Eared Christmas Donkey (1977), Rudolph and Frosty’s Christmas in July (1979), Pinocchio’s Christmas (1980), The Leprechaun’s Christmas Gold (1981). All dredging up scraps of the old Animagic.